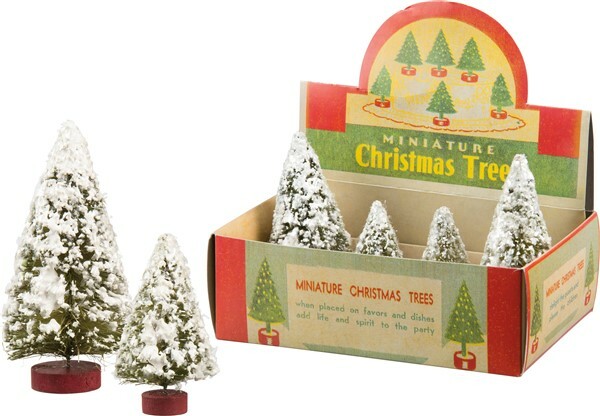 Set of four sweet mini snowy trees for your winter and Christmas decorating. They are made of bristle and wood and are approx 2.25"-4" tall. Put one or two in a mason jar or with your Christmas houses for s fun scene.